Economics and Ethics; An Introduction (2010) | Moral Markets? 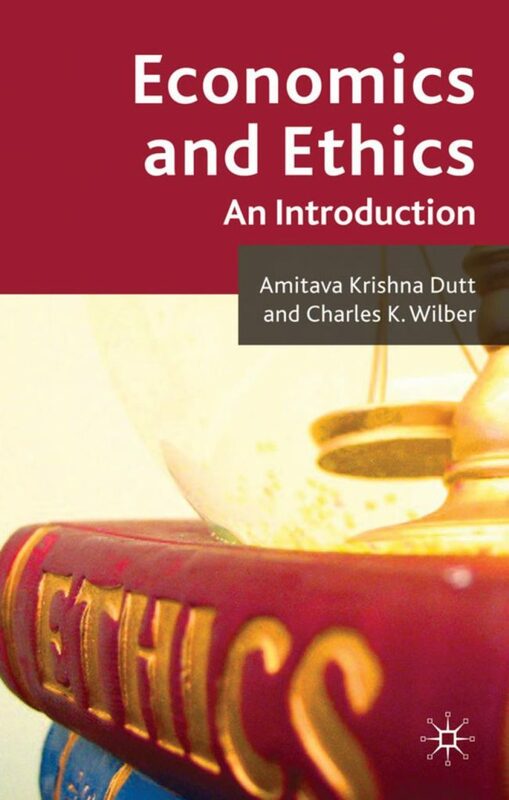 Economics and Ethics provides an introduction to the relationship between economics and ethics, explaining why ethics enters economics, how ethics affects individual economic behaviour and the interactions of individuals, and how ethics is important in evaluating the performance of economies and of economic policies. 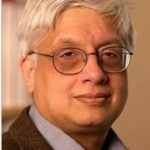 Amitava Krishna Dutt is Professor of Economics and Fellow of the Kellogg Institute of International Studies and the Kroc Institute of International Peace Studies. He is the author or editor of several books, including Growth, distribution and uneven development (1990) and International Handbook of Development Economics (2008, co-editor) and numerous scholarly economics journals and edited volumes. Charles K. Wilber is Professor Emeritus of Economics and Fellow, Joan B. Kroc Institute for International Peace Studies, University of Notre Dame, USA. He has written extensively on economic development, economic methodology, and economic ethics. His books include The Soviet Model and Underdeveloped Countries, An Inquiry into the Poverty of Economics, and Economics, Ethics and Public Policy (ed.). 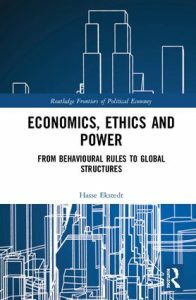 Introduction - The purpose of this book is to provide a short introduction to the relationship between ethics and economics. It is written by two economists and is meant mainly for readers who are interested in economic issues. In addition it may be of use to those who are interested in ethics, but who have no more than an elementary knowledge of economics. Economics without Ethics? - Some economists believe economics is a value-free science, with no place for ethics. A larger number of economists believe that although it may not be possible – or even desirable – to exclude ethics from all of economics, there is a large part of economics in which value judgments play no part. There is a growing minority, however, which argues that economics cannot avoid making value judgments right from the start, and therefore, that economic theory cannot be disentangled from ethics. 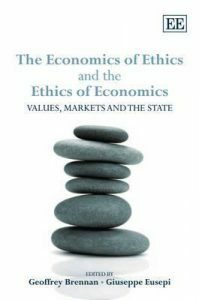 This chapter examines this debate and argues that economics and ethics are so closely interlinked that it is not possible to have an economics divorced from ethics (Wilber and Hoksbergen, 1986). Approaches to Ethics and Justice - If, as we have argued in the previous chapter, value-free economics is impossible, what ethical values should inform the discipline? If people do not behave simply as self-interested optimizers, what moral theories might guide their actions? What moral theory should be used to answer public policy questions? Finally, if individual preferences are not accepted as the overriding goal of the economic system, what ethical benchmarks or objectives should take its place? None of these issues can be understood, much less resolved, without some sort of ethical theory as a guide. Individuals, Norms and Ethical Values - Why do people behave the way they do? Why do they buy this product or service and not a different one? Why does one person work two jobs, another person one full-time job, another part-time, and yet another not work outside the home? Why does someone buy a huge house with many more bedrooms than family members? Why does someone cheat on his or her taxes, and someone else not do so? Why does a used car dealer sell a car which he or she knows to be a lemon and someone else not do so? Why does one person vote in an election and another person not do so? Why do some people, and not others, volunteer to build houses for the homeless? Social Interactions and Ethical Values - We argued in the previous chapter that individuals have ethical values which influence how they behave. This chapter examines the implications of that behavior for societal outcomes. The outcomes, obviously, depend on how individuals interact with each other. Therefore the main task of this chapter is to examine how the interaction between individuals results in social outcomes, and what role ethical values have in the nature of these outcomes. Markets and Ethical Values - Chapter 4 examined the idea that individuals are not simply self-interested, optimizing agents, but may have emotions, feelings, and in fact have ethical values. It also briefly discussed where individuals’ ethical values come from, and why they possibly change. Chapter 5 examined the relevance of ethical values for interactions between individuals, but did so in fairly general terms, to a large extent using the tools of game theory. This chapter continues with the examination of the relevance of ethics for interactions between individuals, but in the specific context of interactions in markets, arguably the most important institution of modern economies. We will explore how the fact that individuals have ethical values affects markets in which these individuals participate. It will also examine how participation in markets affects the ethical values that individuals hold. The Morality of Markets and Government Intervention - The previous chapter examined how markets are affected by the fact that individuals have ethical values, and how participation in markets affects the ethical values people hold. This chapter turns to a related question: what is the moral standing of the market from the perspective of society as a whole. Is the market system good? Is it good to have markets wherever possible? Or are there some limits and objections to goods and services being allocated through markets? Production, Income and Economic Growth - The most commonly used way in which economists and the general public evaluate economic outcomes is with accounting measures of income and production, that is, their levels and their growth rate. The levels of production and income per person – using Gross Domestic Product (GDP), Net Domestic Product (NDP), Gross National Product (GNP), and National Income (NI) – are some of the most widely available economic statistics for any country. [...] Income and production are also used to examine how well individual people are doing. For instance, a person is usually called poor if his or her income falls below an amount or level called the poverty line, which is determined – often by the government – to be necessary to purchase some socially acceptable minimum amount of goods and services. Public programs are often called successful if they reduce the number of people who are considered poor according to this definition, or the percentage of total population that fall below the poverty line. Fairness, Distribution and Equality - Questions of fairness, distribution, and equality play an important role in economics and policy analysis. Broadly speaking, economists hold one of three views about these questions. One view is that efficiency and fairness are the two main goals for appraising how well an economy is doing and for devising, implementing, and evaluating economic policy. More specifically, every economic policy change – which usually impacts people differently – needs to be scrutinized for its distributional implications. A second view is that fairness necessarily involves value judgments and economists, as scientists, should concentrate only on efficiency, leaving judgments about fairness to society as a whole. A third view is that questions of equality and distribution are unimportant and divert attention from the important goals of efficiency and growth. The second view, we have argued in Chapter 2, is untenable, both because the notion of efficiency itself involves a value judgment, and because, more generally, one cannot avoid making value judgments in economics. Whether one subscribes to the first or third views, however, economists need to explain what they mean by equality, how it relates to fairness, and why distributional equality and inequality are worthy or not worthy of attention. Ethics and Applied Economics - Throughout this book we have examined the role of ethics in different areas of economics. In this chapter we examine the role of ethics a little more systematically in a number of applied areas of economics or what are sometimes called sub-disciplines of economics. It is not possible, in a short chapter, to examine the ethical issues related to these subdisciplines in a comprehensive way, and we will do no more than make a few illustrative comments about how ethical issues enter these fields. Nor is it possible to traverse the entire range of sub-disciplines of economics. We will have to be content with a sampling of some fields which we consider to be particularly important both because of the issues they are concerned with and because of their relation with ethics. We discuss, in turn, development ethics, international ethics, environmental ethics, the ethics of labor and employment, and business ethics. 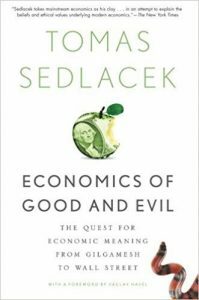 Conclusion - We have argued in this book that it is impossible to do economic analysis and conduct public policy by leaving out ethics. Efforts to purge ethics from economics by separating positive and normative economics and by appealing to the value neutrality thesis are unwarranted. Economists make explicit and implicit value judgments when they do what they call positive economic analysis in choosing what questions they examine and what assumptions they make in their analysis and their models. These questions cannot be swept aside by appealing to brute facts and to empirical testing.